Your outdoor gas meter and ventilation equipment are designed to withstand winter weather conditions, but heavy or hard-packed snow and ice on the meter or external fuel burning equipment exhaust vents can present a significant safety hazard. A common problem is high snow drifts that block gas meter vents, furnace vents and air intakes in some homes—predominantly those that have newer high-efficiency furnaces. 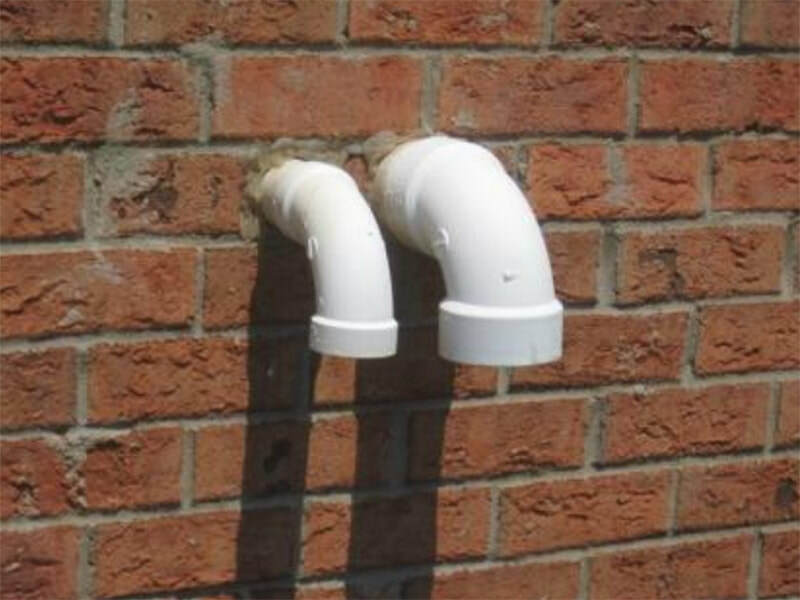 New, high-efficiency furnaces vent out the side of your home rather than up through the roof. These vents and air intakes must be kept clear of snow. If they are blocked, the carbon monoxide will go back into the home. Some newer high-efficiency furnaces have automatic shut-off’s that shut down the furnace when the vents are blocked—but not all of them. As a general rule, you should keep a three-foot area clear around the vent and intake tubes. After any snowfall, it is important to inspect the area around the furnace and hot water heater vents to ensure that snow and ice are not blocking the safe operation of these fuel burning devices. Chimneys and vents for gas appliances must be cleared following a major snow or ice storm to enable proper venting and prevent any carbon monoxide accumulation. Ensure you check you indoor and outdoor dryer vents to ensure they are clear of obstruction. Make sure that snow does not block exhaust from a sidewall vent. Sidewall vents are common in recent heating and water heating systems, especially with high-efficiency models. Vents act as breathing devices for these systems—they take-in fresh air, mix it with fuel to produce heat and discharge exhaust fumes that contain harmful carbon monoxide. If a vent becomes blocked with snow or vegetation, it could shut down heating equipment or draw exhaust fumes containing carbon monoxide back into the home. Accumulation of ice or snow can interfere with the proper operation of your gas metering system. The meter assembly may contain a regulator that is designed to safely release pressurized gas in the event of a malfunction. 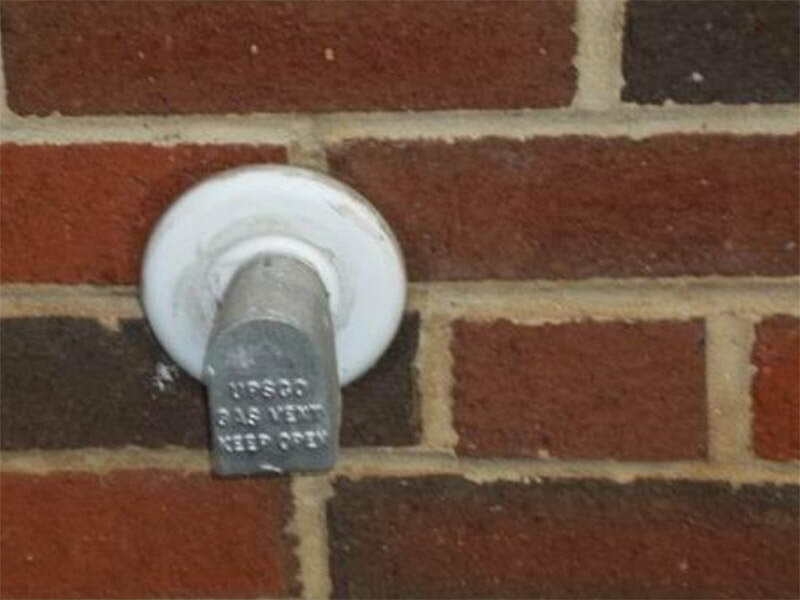 Blocking the regulator vent could create an unsafe condition where gas is not able to escape from internal piping. Snow and ice can damage gas meters and piping. Be careful when removing snow from around the gas meter; any damage to the gas meter could potentially create a possible leak hazard. Use a broom to keep the gas meter set, including the pressure regulator and vent piping, clear of snow and ice during the winter season. Chimneys and vents should be protected using an approved cap or screen to keep small animals (birds, squirrels, mice) or insects (bees) from entering. These pests have been known to build nests inside chimneys or vents and can cause potentially hazardous conditions. If you smell a gas odor indoor or outside, please call 888-642-6748 Nicor Gas from a neighbor’s home and remain outside or at your neighbor's until Nicor arrives. ​Keeping the meter and vents free of ice and snow and other potential obstructions will help prevent possible carbon monoxide poisoning. Remember: NEVER run generators in the home, garage or other enclosed spaces as carbon monoxide can rise to dangerous, if not fatal levels. If your CO alarm sounds, immediately evacuate to a safe location and call 9-1-1.